Ok, first thing’s first – I don’t need to tell you that women can do, be and have anything they desire. You already know all of that. You’re smart, you’re strong, and you know you’re worth your dreams. You’re a woman who’s interested in building an independent future for yourself, and you’re curious about investment for beginners. The truth is…we women tend to have some self-limiting attitudes and beliefs that can get in the way of financial literacy, better money management, and investment choices. In fact, according to the Financial Literacy Foundation, women report that they find money more stressful, uncomfortable, and unfortunately, boring! They’re reported to feel more uncomfortable when it comes to taking charge of their futures. Such a shame, isn’t it? You can read more of this report from the Financial Literacy Foundation here. Like anything, the hardest part of getting started with investing in real estate is…GETTING STARTED. Luckily for you, any woman in the investing game has started from somewhere. 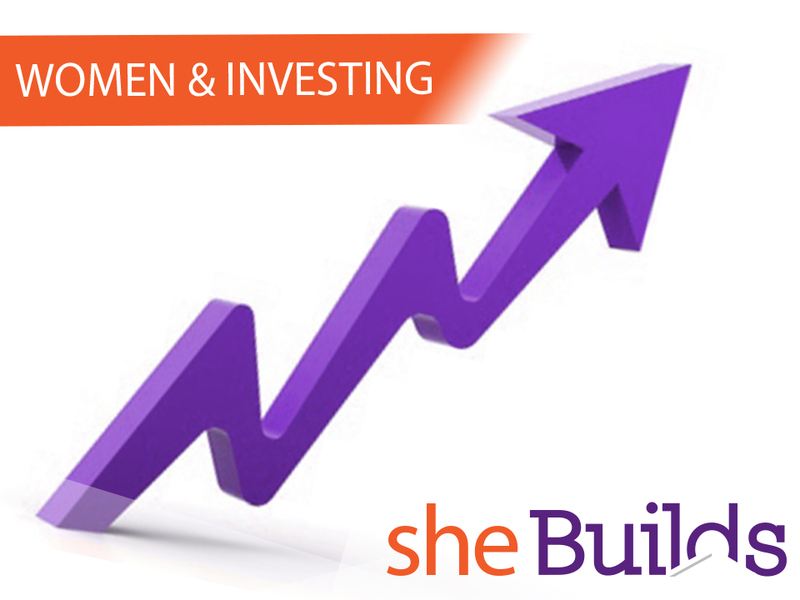 Here are 5 basic tips for getting started in investment as a woman. The experts say that we’re subject to thousands of marketing messages every day. 99% of these will have no impact…but what of the ones that do? If you’re prone to a bit of retail indulgence, it’s time to start thinking of your purchases as an investment. Do you own your stuff or does your stuff own you? Whether its homewares, clothes, or more sinful pleasures like booze. Consider whether investing in these ‘things’ serve your ultimate purpose. Ultimately, you don’t have to stop shopping, just shop with intent, deliberately and for need. Opt for timeless classics over trend-driven pieces, and you’ll waste far less on items you don’t need. Consider alternatives like hiring a dress rather blowing a week or months wages on an outfit. Borrow something from a friend or upcycle something giving a recycled item new life. Life is so much better when your stuff doesn’t own you! Depending on how much income you have to spare after the mortgage, utilities and everyday essentials are covered, put away 20% of your salary every week or fortnight (every time you are paid). A strong saving habit takes time, but once you save that first $5000, it gets easier. You’ll also create a good example for your children, especially your girls, who statistics show still need to understand the important of strong saving habits from a young age. I’ve marveled at the understanding and thoughtfulness of my four year old when I tell her that we won’t do something or buy a treat because we don’t have enough money left that week or that we are saving the money for more important things. I do a recurrent automated transfer for everything – first of all my 20% savings, then any routine bills and my mortgage, etc. That way, I never forget to put away 20% of my income, and everything else is taken care of. It leaves me a small amount of discretionary spending for the rest of the week but it keeps me on track. Do you need the new iPhone 6 and the iWatch or does your ‘old’ iPhone 5 still work (and tell the time)? Do you need a yoga studio membership AND a gym membership? Can you find a club that combines both or better yet grab an App and DIY your fitness at home? Can you skip Friday night dinners in favour of a much cheaper and healthier Sunday morning brekkie out? You don’t need to deprive yourself by cutting out all of life’s little luxuries. You’re a human being who wants to enjoy life! Consider swapping what you enjoy for something that provides you the same satisfaction, at a fraction of the price. I personally prefer to work solo, as it saves me being reliant on anyone else. But there’s much to say for finding a woman in a similar financial situation as yourself. Women gain so much from the support of each other, so it’s beneficial to seek out women’s investment groups on MeetUp. Once you find your tribe you’ll be more motivated, you can support each other with personal finance advice, help each other with tried and true renovation tactics, and learn from those who’ve been where you are right now. Remember, the best thing to do first is to just GET STARTED. Once you’ve made the decision to start building a secure financial future for yourself and your family, there’s no time like the present to set the wheels in motion. I want to hear from you: what’s the hardest part of getting started for you? What do you fear most? Let me know in the comments below, and I’ll respond with any help I can offer.